Online marketers are often talking about creating “viral” content -- and with good reason. Because viral content spreads sofast, it can build up backlinks in a short amount of time with relatively little effort. Not only can backlinks send traffic directly to your website, but they also can boost your site higher in search engine results pages to help you continue to draw more visitors. Some of the most popular viral videos involve absurd characters, including the honey badger and Marcel the Shell. If you can dream up your own unique, appealing character, you could see a substantial burst of social sharing and traffic, as well as increased brand recognition. But don’t get carried away and create a flock of characters. It can be difficult to invent a new character that will charm an online audience, and too many flops could damage your brand. By releasing fresh and timely content on an emerging trend, you can earn a natural first mover advantage and attract lots of attention. People might be more apt to share such newsy content, resulting in more backlinks and traffic to your site. You also could benefit in the search engines because Google’s recent freshness update gives preferential treatment to timely content. 3. Think in terms of sound bites. Sometimes, viral content catches on simply because it sounds catchy. For example, consider the recent success of Chuck Testa, the Ojai Valley, Calif., taxidermist who had millions of YouTube users repeating the catchphrase, “Nope! Chuck Testa” for hours on end. To determine whether your content has this elusive quality, try reading your headline or the opening paragraph as if you were a newscaster. Would you want to tune in to learn more about your piece based on this small snippet of information? If not, go back to the drawing board until your content has the right ring to make people want to share it widely. Visually appealing infographics are among some of the most frequently shared types of online content as most people would rather learn through engaging imagery than long paragraphs of text. 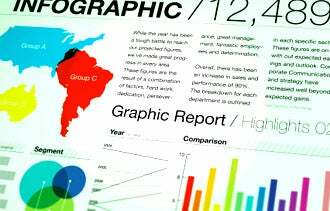 To harness the power of infographics, look for recent studies you can pull data from or try to combine data in new and distinctive ways. For instance, eBay. com, global content head of Jordan Koene’s infographic displaying Star Wars sales data on eBay was a hit simply because no one had compiled this information before and displayedit in such a visually engaging manner. An endorsement from an authority in your industry could help make your content go viral. Simply attaching an influencer’s name to your blog or article can give it significantly more clout. Start bybuilding relationships with the thought leaders in your industry. After you’ve published your best article or released your best video, ask these influencers to share your content with their own followers. Not all of them will agree, but even one “yes” can mean a significant flood of traffic andcan take your content viral. Providing exceptional value in your article or video could help you achieve viral status. For instance, if everyone in your industry is releasing a “Top 10” list of points on any given topic, how much more interest do you think you could generate if you created a “Top 100” list? Going above and beyond what your competitors offer can help increase the number of times your content gets shared socially. So while trying to create viral content, don’t neglect proven website development and search engine optimization strategies. Balance these activities to achieve sustainable business growth.